Why spend all that money on user acquisition campaigns when your mobile video ad creatives aren’t up to snuff? Hitting key performance marketing metrics, such as click-through rates and conversion rates, comes down to more than rock-solid targeting and expert budget allocation strategy; it’s also about designing video ads that evoke certain emotions in your users. In effect, user acquisition is as much art as science. After my experiences at Storm8 and MZ (formerly Machine Zone), I’ve found that gathering qualitative feedback is a critical step in the production process and can be the difference between a decent video ad and an amazing video ad. After all, the best feedback comes from taking a step back and allowing fresh eyes to look at the video ad. Getting too close to the material makes it easy to overlook the simple details that can prevent new viewers from getting lost or confused. In this post, I’ll explain how to run a feedback session on your mobile video ad creative from the 4 key questions to ask your test viewers to the process for taking action on the feedback. When sourcing video ad feedback, selecting the right test viewers is very important. Your first thought might be to ask other gamers. After all, it makes sense to poll your target audience. But to be thorough, you should really be sourcing feedback from a variety of people: gamers, marketers, artists, producers, etc. Everyone will look at your video ad through separate lenses and be able to provide unique feedback that others might overlook. What did you OBSERVE in the ad? What did you LEARN from the ad? What did you DISLIKE about the ad? If you’re a fan of acronyms, feel free to remember this one as FOLD (Feel, Observe, Learn, Dislike). But more importantly, you need to understand why you’re asking these specific questions. Question 1: How did the ad make you FEEL? Emotions are very important in marketing as they influence how your audience responds to your advertisements. 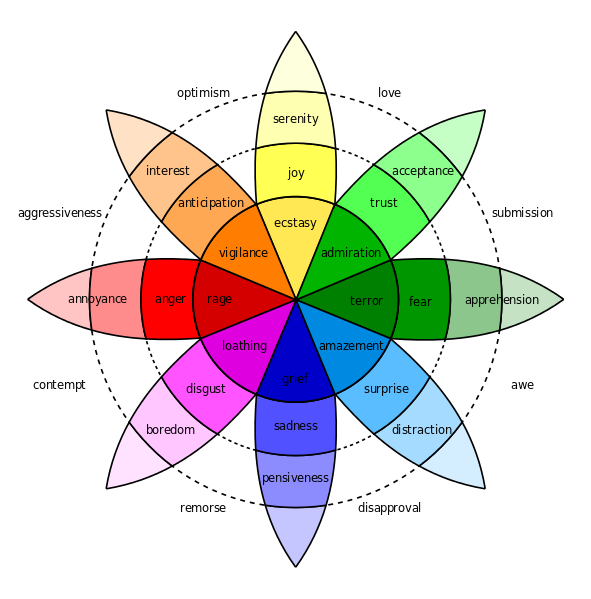 When your product is a mobile game or app, you want to evoke emotions on the vigilance, ecstasy, and admiration spokes of Robert Plutchik’s wheel of emotions. These categories include emotions like joy, trust, and interest. If your test viewer tells you the video ad makes them feel sad, bored, or even confused, then you’ve missed the mark somewhere along the way. Insider tip: Color and music can play a large role in influencing a viewer’s emotional response. Try upbeat music or bright color schemes to elicit positive emotions in viewers’ minds. Question 2: What did you OBSERVE in the ad? Video can convey a lot of information; a 30-second mobile video ad could technically show a viewer 900 different images. As a marketer, you can’t expect your audience to remember every bit of information in your video ad. Asking your test viewer what they remember observing is a great way to discover which visuals stand out the most in your ad. If you were hoping viewers notice gameplay but instead notice overlaid character art, you might consider separating those two elements within the video. Insider tip: Repetition is one of the easiest ways to form memories. If you want your viewer to remember a specific bit of information, show it to them as much as possible. Question 3: What did you LEARN from the ad? It’s important your video advertisements teach people about your mobile app or game. Know what you want people to learn before you ask this question. Perhaps one of your game’s key features is multiplayer gameplay. If your test viewer points out your multiplayer feature then you’ve succeeded. Insider tip: If your test viewer didn’t learn what you intended to convey in the video ad, then try quizzing them. Ask test viewers, “What kind of features did the ad highlight?” or “What types of gameplay did the ad mention?” It’s possible they noticed the multiplayer feature but didn’t think to mention it as something they learned. Question 4: What did you DISLIKE about the ad? This is the most important question to ask in a feedback session. It’s easy to ask someone what they enjoy about your ad, but their response will be effectively useless. When someone tells you what they dislike in a video ad, you suddenly have something to consider changing or revising. Insider tip: Don’t be afraid to push test viewers for more details, or for other elements they didn’t enjoy. The more they can tell you, the more you’ll have to work with. You’ve shown your video ad to a few people, collecting valuable feedback. At this point, your next step is taking action. Here, after all of the feedback sessions are completed, I prefer to prioritize feedback based on popularity. If three different people disliked the same thing in a video ad, then it’s getting removed. Don’t, however, be afraid to change it up or try new methods to incorporate into your feedback workflow. A few colleagues have started implementing eye-tracking software to find out where their test audience is looking. Indie studio Those Awesome Guys used eye-tracking software Tobii to improve a video trailer for their party game Move or Die. At GDC 2017, the studio recorded 35 people watching their video trailer with the eye tracker. After compiling the eye-tracking data, Those Awesome Guys found that many viewers naturally focused their eyes on the faces of characters in the trailer when they appeared in frame. Like anything in life, practice makes perfect. Mastering the art of gathering feedback takes time. Once you make feedback sessions a normal part of the video ad creative design process, you’ll know exactly how to conduct sessions and find it easier to develop the open-ended questions that will provide you with valuable feedback. But in the meantime, as long as you follow the basics outlined here, you’ll have a strong foundation for generating actionable feedback.